And now for the political question doctrine. See fn. 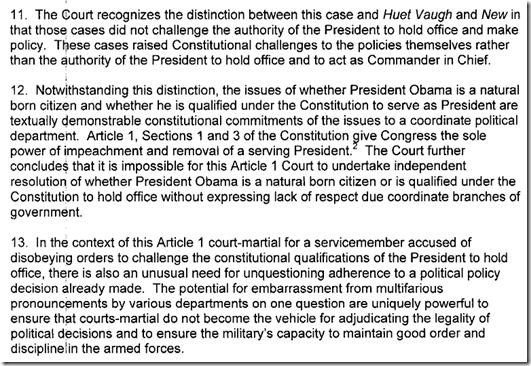 2., I believe at one point Mr. Jensen was complaining that the military judge wasn’t going to apply any “civilian” cases. See fn. 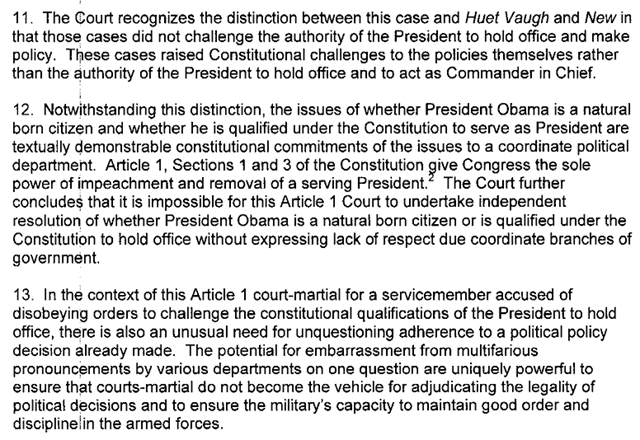 3., for the judge’s rather sparse treatment of the de facto officer doctrine.